Hamer Cast-Iron Stoves "Different by design"
If you are looking for exceptional quality and price look no further than the Hamer Range of Stoves. All Hamer appliances are created to exceed expextations and needs of the end user, functionality, supreme quality from the all cast-iron bodies along with reasonable prices make Hamer different from their competitors. Hamer attention to detail, and aesthetics blend with any interior - modern, traditional and any future design trends. Imagination, intelligent design is paramount in everything Hamer produce. 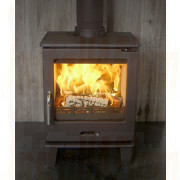 Wide range of fuels - From coal to smokeless, there is a Hamer solid fuel stove to suit your room in all parts of the country. How big do you need the stove to be?